With a good collection of modern and contemporary art pieces from the 20th and 21st centuries, the Musee d’Art Moderne de la Ville de Paris is an important museum in the city of Paris. It features works of notable artists, like Pablo Picasso, Wilhelm Lehmbruck, Emile Othon Friesz, Marie Laurencin, Sonia, Delaunay, and Max Ernst. A museum constructed on the site of buildings used during the Nazi regime, the Topography of Terror features photographs and other items that tell the story of the horrific events during this period. It has both outdoor and indoor exhibition areas that also include a section of the Berlin Wall, excavated cells where people were imprisoned, tortured, and executed, and a library. With a wide selection of plant and animal specimens from different points of natural history, the National History Museum offers a fascinating and informative environment for both children and adults. Among its most popular displays are the 32-metre long replica of a skeleton of a Diplodocus carnegii dinosaur called “Dippy”, and a 25-metre long skeleton of a blue whale. Completely free of charge, changing of the guards ceremonies in various European cities are interesting activities to witness. These not only let you get a taste of one aspect of the local culture and traditions but also allow you to experience something unique, especially if you come from a country that does not have those. 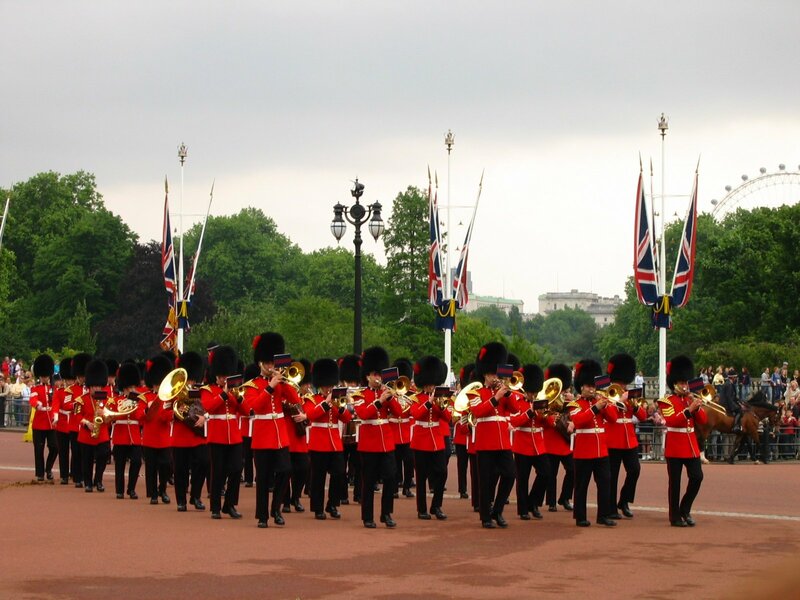 Held daily from April to July, and every two days the rest of the year, the changing of the guard ceremony at the Buckingham Palace in London is regarded as the gold standard of ceremonial military and guard marching. At 11:15 in the morning, a group of soldiers, who look dignified in their uniforms, parade around the palace forecourt. To get the best seat, make sure to be there around two hours before that start. The members of Greek Presidential Army, or Evzones, stand outside the Hellenic Parliament in Syntagma Square, guarding the tomb of the Unknown Soldier, a representation of every single unknown soldier that lost their lives at war. Dressed in traditional Greek guard uniforms, they hold a changing of guard ceremony every hour every day, but the main and most popular one is held on Sundays at 11 a.m.
Made up of 36 guards, a band, and a drum-and-fife corps, the changing of guard ceremony at the Amalienborg Palace in Copenhagen is a vibrant spectacle. It starts at around noon, with a parade that goes around the palace square, and a short performance by the Band of the Royal Life Guards. Home to some of the world’s greatest ancient civilizations, Europe has a long list of attractions and landmarks that date back to several centuries ago, and tourists can visit free of charge. Constructed in the early 2nd century, the Pantheon used to be a Roman temple that is now a church. Located in Rome, it has large Corinthian columns made of granite at the front, and a 43-metre diameter rotunda with a concrete dome. Inside, you can find high altars, and several paintings, tombs, sculptures, statues, and others. First built during the Roman times, the Ponte Vecchio in Florence is a 95-metre long, medieval stone bridge over the Arno River. Lined with small stalls and shops that sell art, jewelry, and souvenirs, it offers many opportunities for great photos and views of the city, especially at night. Featuring a French Gothic architectural style, the Notre-Dame de Paris is a medieval Catholic church completed in 1345. It houses the Archaeological Crypt of the Paris Notre-Dame, which has a collection of historical ruins; an organ built in 1403; 10 bells; several statues, sculptures, and paintings; and a high altar with statues of Louis XIII and Louis XIV kneeling. Ever wonder where your favourite movies and television shows were filmed? Many European cities have served as shooting locations of various award-winning, popular, and beloved movies and series. One of the best, free ways to explore Salzburg, Austria is by doing your own Sound of Music Tour. It includes free attractions, like the Mirabell Gardens, Pegasus Fountain, and the Mozart Bridge (where Maria and the kids sang the “Do-Re-Mi” song), Schloss Leopoldskron (home of the Von Trapp family), Nonnberg Convent (young Maria’s convent), and the Mondsee Basilica (wedding). The city of Paris in France is no stranger to blockbuster and critically-acclaimed hits. Various scenes from Moulin Rouge, Inception, Amelie, Ratatouille, Midnight in Paris, The Devil Wears Prada, and Da Vinci Code were filmed at some of the city’s most popular tourist attractions, such as Monmartre, Pont des Arts, and Bir-Hakeim Bridge, with shots of the Louvre, Sacre-Coeur, and Eiffel Tower.